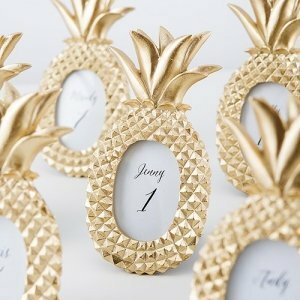 Dazzling in metallic gold this miniature pineapple photo frame will be the perfect complement for any tropical theme wedding or pool side celebration. Known as a symbol of friendship and hospitality here is an ideal favor that will be a big hit with your guests. Who wouldn't want one of these cuties? Hi,could you please tell me what the size of the window for the photo? want to see if it works for table place cards. Thank you! I'm sorry a sample is not available for this item and this can fit a 2.5x3.5 size photo. 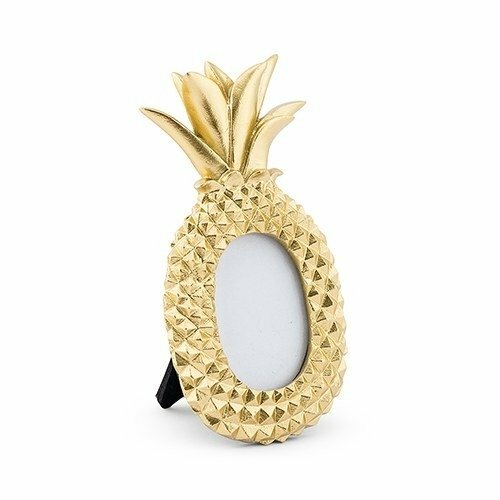 is there a bigger frame with pineapples ? I'm sorry we do not have other size available for the Mini Gold Pineapple Photo Frame - Set of 6. The only size we have is 3" (L) x 1/2" (W) x 5 1/2" (H). 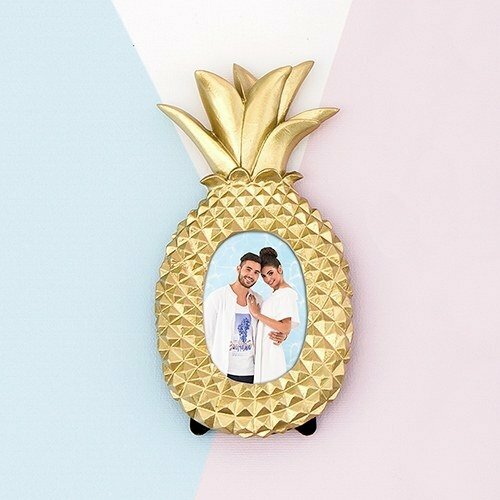 How big is the Mini Gold Pineapple Photo Frame?